Racing Bat - Jacks Inc. 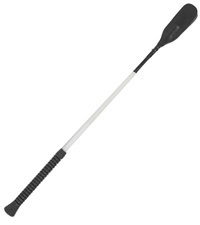 Racing Bat with superb rubber compound golf grip handle is great for wet conditions. Nylon wrapped fiberglass shaft with leather flapper.